BRUSSELS – The tripartite Presidency of Bosnia and Herzegovina, Milorad Dodik, Željko Komšić and Šefik Džaferović, have undertaken their first joint visit to Brussels since the Presidency’s inauguration in November last year. During their two-day visit, they met with the highest EU officials. On Tuseday, Presidency members met with the High Representative Federica Mogherini. 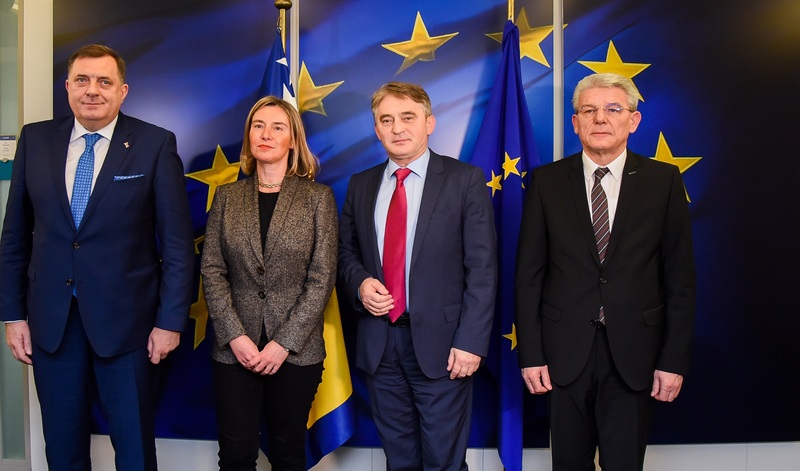 In response to their common message of commitment to the country’s European Union path, she welcomed their resolve to work together, stressing that their unity of action will be to the benefit of Bosnia and Herzegovina and all of its citizens. In this respect, the role of the Presidency in lowering political tensions and promoting reconciliation will be crucial, Mogherini emphasised. 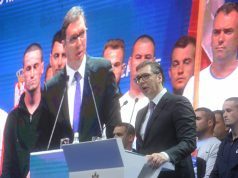 Equally, it was emphasised that Bosnia and Herzegovina needs to submit swiftly all the replies to the questionnaire for the European Commission to finalise its opinion on the country’s EU membership application. On Wednesday morning, Presidency Members met with the President of the European Commission Jean-Claude Juncker and Commissioner for Enlargement Negotiations Johannes Hahn, and concluded their visit in the afternoon by meeting with the President of the European Council, Donald Tusk. Juncker and Hahn urged the Presidency members to continue working on the reforms and maintaining political stability, and announced that Bosnia and Herzegovina will have their support on their EU path. President Tusk reiterated that the formation of governments on all levels and consistency in reforms will be the best argument for the member states when it comes to deciding on Bosnia’s positioning in its EU integration process. 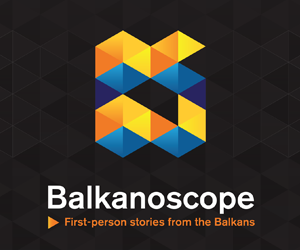 Although Presidency members expressed their hope that Bosnia and Herzegovina will receive the status of an EU candidate country this year, Komšić does not believe that it is going to be easy.